Tall fescue is a pasture grass that is relatively easy to identify late in the season – just look for the grass that your animals have refused all season. Typically livestock will avoid tall fescue if given other options. That is because this tall bunch grass is quite unpalatable. The leaves, which are quite broad, are very coarse and leathery. The edges can be quite sharp as well. Rub a leaf between your fingers and you’ll see why your animals would choose not to eat it. Besides the physical attributes that make it unappetizing, tall fescue can be toxic as pasture, hay or haylage due to endophyte alkaloids. Endophytes are fungi which live within the plant and produce alkaloid chemicals. Fescue toxicosis can result in various production-related issues ranging from foot problems to reproduction issues. There are endophyte-free varieties of tall fescue, but these have alkaloids as well, and although less toxic than their endophyte-infected counterparts, they still upset rumen function and therefore reduce animal performance. Toxicity is a measure of the overall percentage of tall fescue plants in the pasture and decreases if animals are in a diverse sward with many other grass and legume species. Some producers have noticed this past year more tall fescue in their pastures than ever before. What is going on? The reason tall fescue is the grass of choice in the Southeast is that it is very drought resistant. It will grow when nothing else will. In a dry year like 2012, when our cool-season grasses went dormant in the heat of summer with little to no rain, tall fescue will take the opportunity to grow and spread. Some tall fescue is seeded intentionally. For example, when ditches and roadsides are seeded with ‘conservation mixes’, these typically contain tall fescue as it will establish with little effort. The seed then spreads into neighboring fields and pastures. 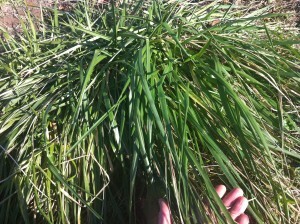 Interestingly, many commercial pasture seed mixes on the market also contain tall fescue. This is a sign that the seed mix was developed for other regions of the country where the climate is not conducive to the cool-season grasses we can grow so well here. We have so many better options for cool-season grasses such as bluegrass, ryegrass, and orchardgrass, to name a few, that tall fescue is a plant best to avoid. If you are finding that tall fescue is spreading and becoming a problem what do you do? Unfortunately, tall fescue is hard to get rid of without an herbicide, so if you are an organic producer it will depend on how much of a problem it is. One option is to seed plants with high tannin content such as forage chicory or birdsfoot trefoil. When animals eat both the tannins and the alkaloids together, the tannins bind the alkaloids and reduce toxicity problems. For a real problem stand, plowing and tilling would kill most of the existing plants. Following with an annual crop such as a small grain, and then seeding down to a pasture/hay crop would increase the chances of eliminating the tall fescue plants. Frost seeding can be an efficient and cost effective way to reseed or introduce new forage species to pastures and hay meadows. Successful frost seeding can improve forage quality, and research in Michigan has shown yield increases by 1.5-2.0 tons of dry matter per acre. That is a pretty good return on the cost the cost of the seed and the time to broadcast it. However, frost seeding is not right for every situation and not every year presents the ideal conditions. The basic idea behind frost seeding is the freeze-thaw cycle and rain of early spring will help incorporate seed broadcast over the surface. It is a simple process, but timing is critical: seed too early and seed may die, seed too late and there is no frost to do the work. Frost seeding can be accomplished with broadcast spreaders that mount onto ATVs or tractor 3-point hitches. Roller seeders are also very effective but will require more passes across the field. This can be done over minimal snow cover, but broadcasting over deeper snow before a rapid melting can result in losing seed to runoff. In Vermont, most frost seeding happens in late February or March. But now is the time to start planning. 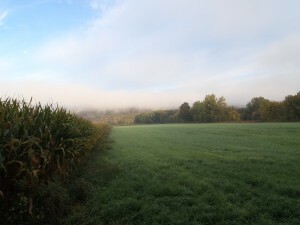 Site Selection– Choose where you frost seed carefully. Pastures and hay meadows that are predominately sod-forming grasses, such as bluegrass or reed canary grass, can have a thick thatch barrier that can make seed establishment difficult. Grazing livestock “stomping” the seed in can be worth a try in these situations. Also, soil type is important. Soils that have natural moisture through the early summer, such as loam and clay soil, work best for frost seeding. Sandy soils should be avoided. Soil Test, Lime, and Fertilizer– If possible, apply any needed lime a year in advance. Nitrogen should be avoided the year before and the year of seeding. This only stimulates grasses and weeds making them too competitive. Legumes need phosphorus and potassium, however, to compete with grasses. Preparing the fall before seeding- Seed to soil contact is critical for frost seeding to work. Grazing or clipping pastures and hay meadows down to about 2” the previous fall or winter opens the canopy and allows broadcast seed to reach the soil. Grazing tightly will also reduce the vigor of the existing forages the following spring, helping the new seedlings to better compete. In some cases, lightly disturbing the soil with a disk the fall before frost seeding can help increase success. Seed Selection, Legumes: Alfalfa, clover, and trefoil can all be successfully frost seeded. Alfalfa should be frost-seeded on well drained soils with near neutral pH and adequate levels of phosphorus and potassium. Avoid fields where alfalfa already exists. Autotoxicity will prevent new alfalfa plants from becoming established. Clovers have better success on poorly drained and with less lime and fertilizer. 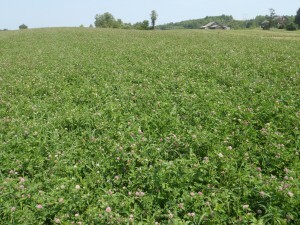 Red clover establishes quickly and produces for one or two years, while white clovers can last three years or more. Although birdsfoot trefoil is slow to establish, it is long lived, improves with time, and can become the dominant legume as red clover dies out. Be sure to inoculate all legume seed. Seed Selection, Grasses: Older alfalfa stands that have become less productive can sometimes benefit from grasses being introduced. This can be challenging because most grasses tend not to be as successful as legumes when frost seeded. 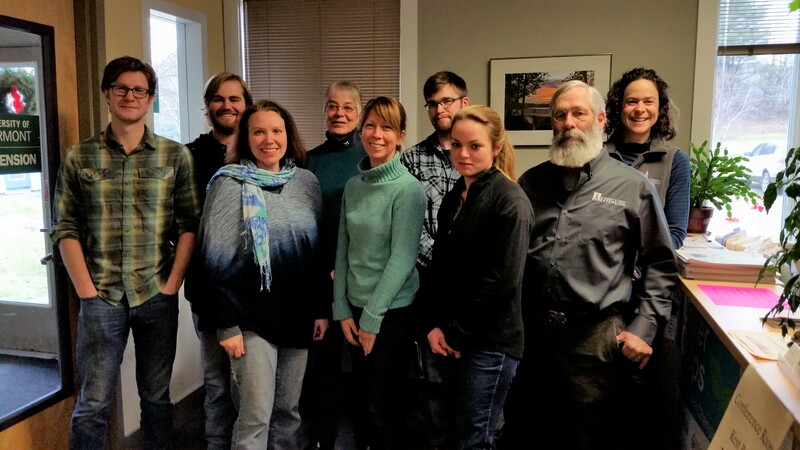 Research from the University of Wisconsin has shown that perennial ryegrass and orchardgrass have the best success in years when moisture is adequate for growth. 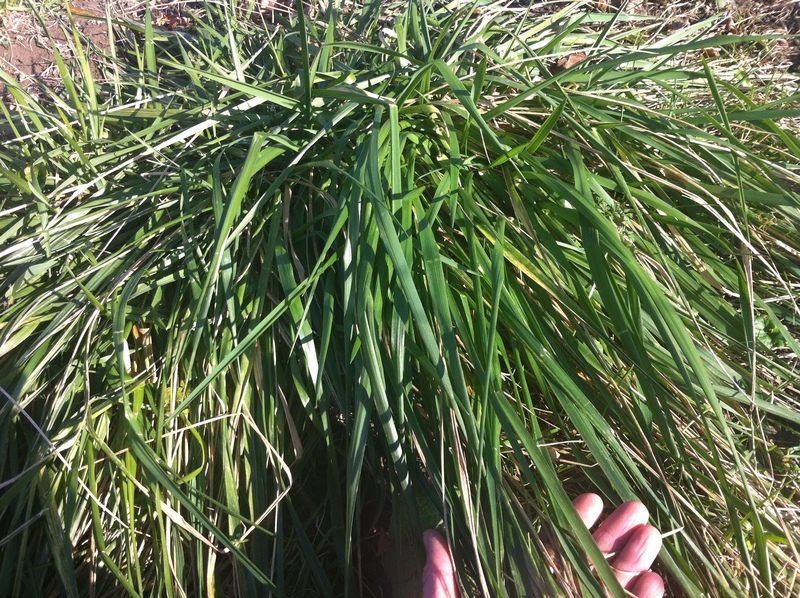 However, perennial ryegrass is not as winter hardy as other cool season grasses so persistence may be a problem. Seed Mixtures: In many cases, seeding more than one species can be advantageous. 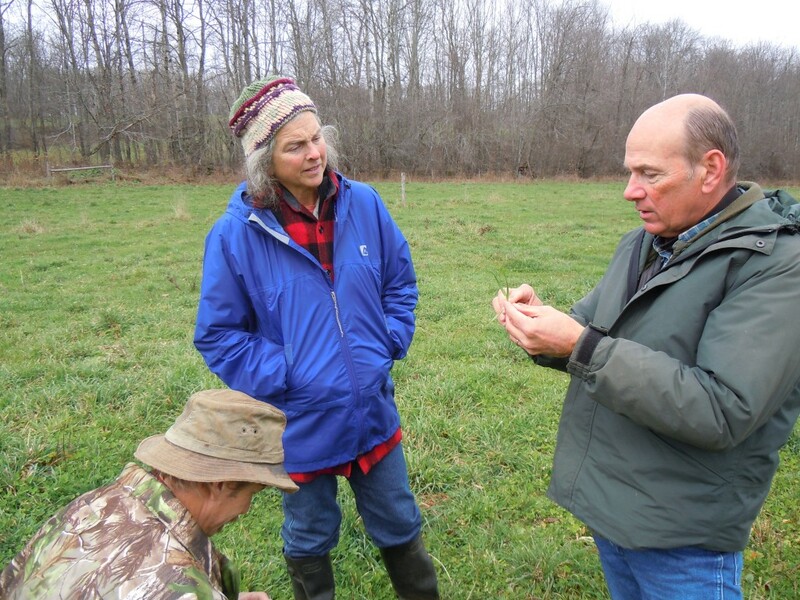 For example, red clover and birdsfoot trefoil seeded together can ensure a long-term legume presence in a pasture. In research done at Iowa State, red clover established quickly and was productive for two years before declining, while birdsfoot trefoil became productive in the second and following years. 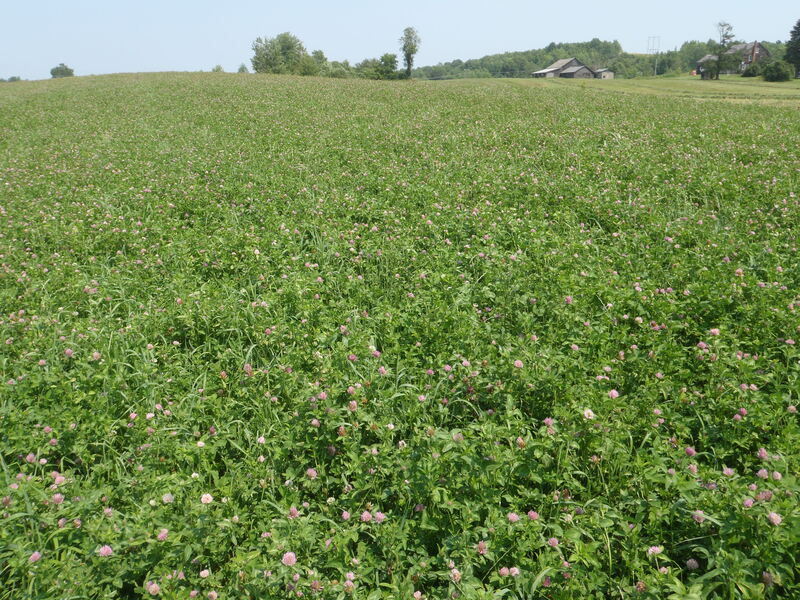 For this reason, many producers frost seed red clover every two to three years to maintain legume production. Also, especially when seeding mixes using broadcast type seeders, be sure to determine the spreading width. Different species and mixes will vary. For example, legume seed tends to “throw” further than grass seed. Therefore it is recommended to separate grass and legume seed and spread them in two passes. Grazing management after seeding: Establishment of legumes depends on control of grasses and weeds, especially in the first two to three months after emergence. Immediately after seeding, but before emergence, animals can be used to control early spring growth. Hoof action will assist the freeze-thaw cycle to incorporate seed. Cattle should be removed before emergence to prevent seedling damage. After legume emergence, moderate but quick grazing, not shorter than 3-4”, after the grass starts growing will give legume seedlings a chance. Periodic mowing, or an early hay cut, may be necessary to control grasses and weeds. If possible, birdsfoot trefoil will benefit from an early fall rest period.